MILWAUKEE -- Marquette University has acquired a rare copy of “The Hobbit” to add to its collection of materials by the renowned author J.R.R. Tolkien, who influenced much of today’s high fantasy writing. The school says the first-edition, first-printing copy of Tolkien’s classic tale that was obtained by the school’s Department of Special Collections and University Archives is one of only 1,500 in existence. It features artwork drawn by Tolkien himself. “The Hobbit” was published in 1937 and is recognized as a classic in children’s literature. The first printing sold out before the end of 1937. 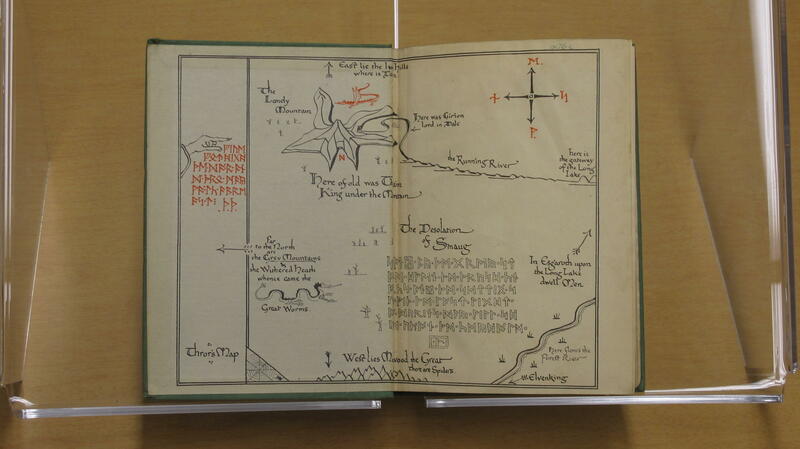 Marquette through the years has developed a significant collection of Tolkien’s works, with a book collection of more than 1,200 volumes, along with other materials including sketches, paintings, games and documentaries.